RISE AND SHINE * THAT CERTAIN ONE * THOUGHTS ON THE FLAG * THE COWBOY AND THE LADY * GYPSY WOMAN * and many of the songs from his more than TWENTY ALBUMS! For many years, Tommy has been sought after as a guest on NBC * ABC * CBS * TNN (The Nashville Network) and has videos played on CMT (Country Music Television), and also on TNN. Box Office receipts have made Tommy Cash a TRUE WORLDWIDE star. Audiences from all over the globe know that when Tommy Cash is performing, they’ll get their money’s worth. It isn’t enough just to sing the hits, one must entertain with engaging conversation, wit, and charm, while giving a superb performance. 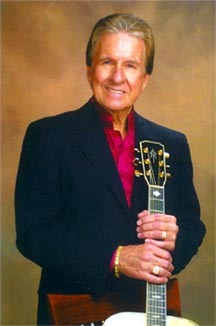 Tommy Cash, quintessential worldwide performer has entertained at THE GRAND OLE OPRY * BRANSON THEATERS * AMERICAN MILITARY BASES * FAIRS * CORPORATE FUNCTIONS * LAS VEGAS * and CONCERTS on nearly every continent. Last year Tommy toured in Australia, and this year finds TOMMY CASH doing performances literally throughout the entire United States, and to many foreign countries. TOMMY CASH is also a popular GUEST SPEAKER. Tommy’s life story and testimony have a strong impact. Tommy is an avid golfer and competes in various pro-celebrity golf tournaments each year. “I grew up playing basketball and took up golf as an adult,” explains Tommy. TOMMY CASH…has a background in broadcasting, and his great voice has been heard commercially for clients such as, PEPSI, BURGER KING, DIAL FINANCE, GM, BEECHNUT, SANTA FE RAILROAD, SUNOCO, AMDRO, HARRAH’S CASINOS, and many more…. “I grew up in northeast Arkansas, the youngest of seven children. I remember Mama and Daddy working long hours to provide for us and give us a Christian home…most of all, I remember a whole lot of LOVE. My brother JOHNNY and I are the only two who made a career in the Music Business. Sometimes I perform a musical “Tribute” to Johnny in my concerts.